Join us on Sunday, December 14th for the Flippin&#039; With the Greats Fundraiser Tournament. This tournament will represent the St. Louis Rams and benefit Mike Ditka&#039;s Gridiron Greats Assistance Fund. Format and exact start time TBA, so stay tuned to this page for further details. A $30 minimum donation is required to enter. The top 4 finishers will receive prizes from Gridiron Greats, and the top finisher will represent the Rams at the Grand Final (date and location TBA) where the top prize is a NIB STERN PINBALL, INC. pinball machine. 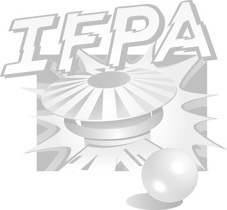 Check out http://www.ifpapinball.com/gridiron/overview for more information.